Margot Fonteyn was born Margaret Evelyn Hookham, known as Peggy, to a British father and a Brazilian-Irish mother. She began taking dance classes as a small child. When she was 8, she accompanied her parents to China for her father's work as an engineer. She studied ballet and showed great talent and promise for becoming a professional. Her mother brought her back to England for advanced ballet study when she was 14. She was accepted into the school of the Vic-Wells Ballet (later the Sadler's Wells Ballet, then the Royal Ballet), under the direction of Ninette de Valois. Her teachers and coaches included famed former dancers such as Olga Preobrajenska, Mathilde Kschessinska, and Tamara Karsavina. It was then that she changed her name to Margot Fonteyn. In 1934, she entered the Vic-Wells Company and rose quickly through the ranks. By 1939, she had performed principal roles in Giselle, Swan Lake and The Sleeping Beauty to great acclaim. Sir Frederick Ashton created several works with her, including Ondine, Daphnis and Chloe, and Sylvia. In 1949, when the Royal Ballet performed in the USA, its prima ballerina Margot Fonteyn became an overnight sensation and international star. In 1955, she married Roberto Arias, a Panamanian diplomat; he was shot in 1964 by a political rival and was a quadriplegic for the rest of his life. In 1962, as Margot was planning to retire, she met Rudolf Nureyev, who had just defected from the USSR to the West. Their collaboration gave new passion to her dancing and extended her career for another 20 years. 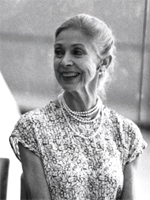 After her retirement, Margot Fonteyn and her husband went to live on their ranch in Panama. She was awarded the DBE in 1956 and was named Prima Ballerina Assoluta of the Royal Ballet in 1979. She published her autobiography in 1976. Margot Fonteyn is currently considered a "single author." If one or more works are by a distinct, homonymous authors, go ahead and split the author. Margot Fonteyn is composed of 6 names. You can examine and separate out names.